Recently established Jaguar Foundation has been created by passionate Jaguar people who donate their time, resources, and services with the goal of better serving the Jaguar Heritage and preserving the marque for future generations. We aim to leave a legacy for our children’s children. This entry was posted in News & Notices on August 23, 2014 by Dan Martin. 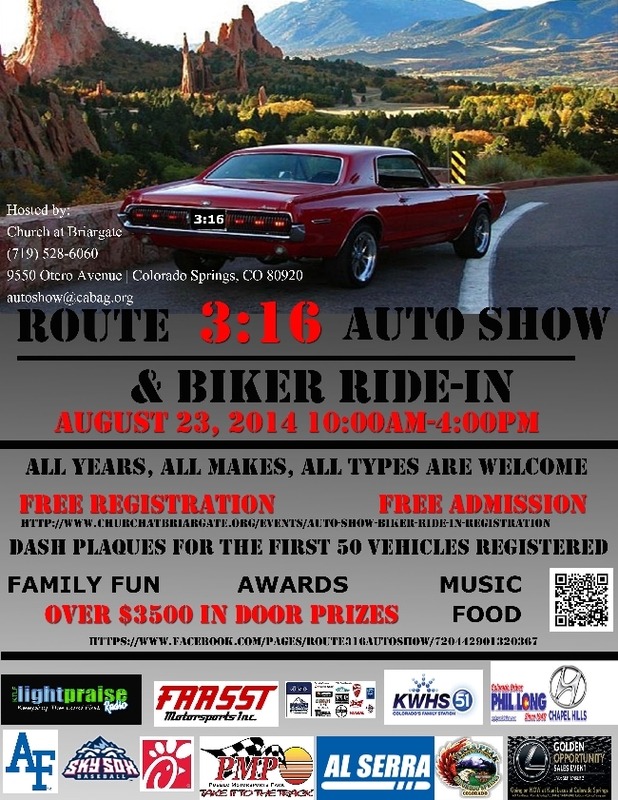 Church at Briargate is hosting a FREE auto show and biker ride-in on Saturday, August 23rd, from 10am – 4pm, at 9550 Otero Avenue, 80920. 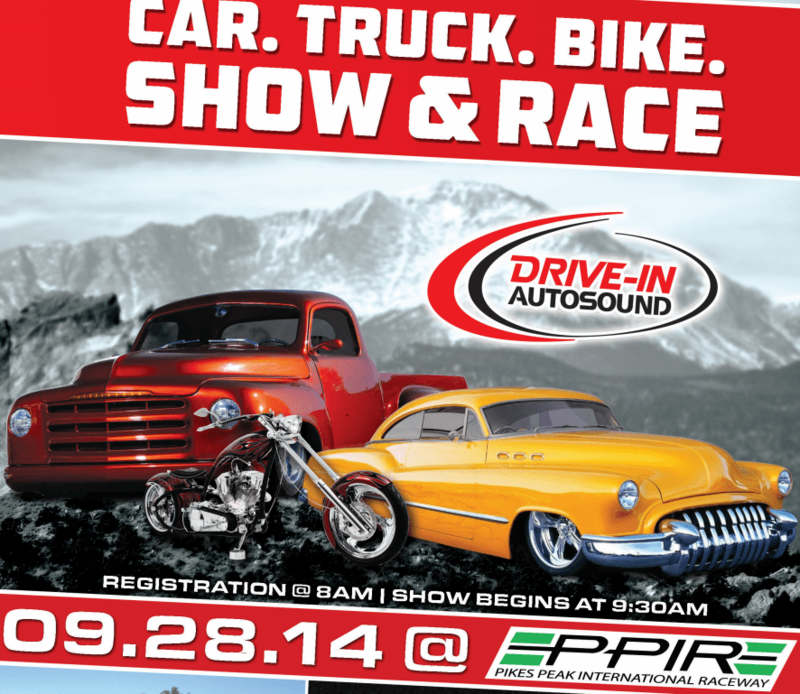 Bring your friends and family out for cars, bikes, music, food, and a good time! We will be giving away door prizes totaling over $3500 throughout the day, including Air Force football tickets, Pueblo Motorsports Park tickets, Bandimere Speedway tickets, a free helicopter tour, etc. Also, enjoy the Pikes Peak International Hill Climb’s traveling museum and ride the Pikes Peak Harley Davidson JumpStart motorcycle. It’s all FREE! Our major sponsors: KTLF Praise 90.5FM, KWHS TV51, Phil Long Hyundai of Chapel Hills, Al Serra Chevrolet & VW of Chapel Hills, FAAST Motorsports & Pueblo Motorsports Park, and Kuni Lexus. This entry was posted in Other Events on August 21, 2014 by Dan Martin. Lot 135: 1977 Jaguar XJ6C series 2, 2-door coupe, near showroom condition. Left hand drive, Fine Auction 082314 Cars4.2L engine. VIN: UH2J53099 License: XJ6SEA Odometer: 104037. Download Fine Auction 082314 Cars for more information and pictures. 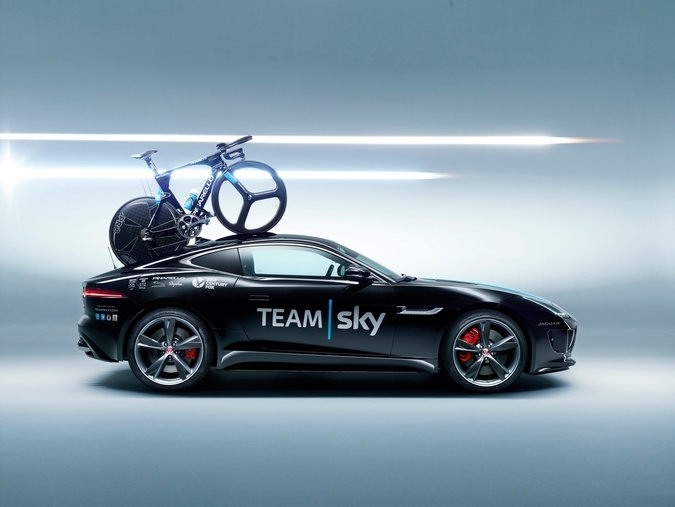 This entry was posted in Other Cars on August 16, 2014 by Dan Martin. Supercharged El Dorado for a WWI ace! This entry was posted in Other Cars on August 14, 2014 by Dan Martin. This entry was posted in Events on August 13, 2014 by Dan Martin. This entry was posted in Other Events on August 6, 2014 by Dan Martin. Show begins at 9:30 AM. Qualifying for this Colorado 100 Southwest Tour Series Race starts at 11:30 AM with race start at 1:00 PM. View the event flyer here. Visit PPIR.com or SRLSouthwestTour.com for more information. This entry was posted in Other Events on August 4, 2014 by Dan Martin. The New York Times Automobiles column contained this feature. Read it here. This entry was posted in Other Cars on August 3, 2014 by Dan Martin.